The Congregation of the Carmelite Teresian Sisters (CTS), founded in Carpeneto, Italy, in 1737, by Br. Isidore of Nativity of Mary under the patronage of Our Lady of Mount Carmel and Teresa of Avila. Patron: St. Teresa of Avila (1515- 1582): St Teresa of Avila, great saint, Patroness of Spain, Doctor of mystics and Doctor of the Universal Church, was born at Avila in Spain on 28 March 1515.Teresa lived in an age of exploration as well as political, social, and religious upheaval. It was the 16th century, a time of turmoil and reform. The gift of God to Teresa in and through which she became holy and left her mark on the Church and the world is threefold: She was a woman; she was a contemplative; she was an active reformer. As a woman, Teresa stood on her own two feet, even in the man’s world of her time. She was “her own woman,” entering the Carmelites despite strong opposition from her father. She is a person wrapped not so much in silence as in mystery. Teresa was a woman “for God,” a woman of prayer, discipline, and compassion. Her heart belonged to God. Her on-going conversion was an arduous lifelong struggle, involving on-going purification and suffering. Teresa was a woman “for others.” Though a contemplative, she spent much of her time and energy seeking to reform self and the Carmelites, to lead them back to the full observance of the primitive Rule. She founded over a half-dozen new monasteries. She travelled, wrote, fought—always to renew, to reform. Her writings, especially the Way of Perfection and The Interior Castle, have helped generations of believers. In 1970, the Church gave her the title she had long held in the popular mind: Doctor of the Church. She and St. Catherine of Siena were the first women so honoured. Founder: Servant of God, Br. Isidore of Nativity (1696-1769): Servant of God, Isidore of Nativity was born on August 8, 1696 in Carpineto (AL) Diocese of Acqui Terme, a third-born of four children, by his spouses Giovanni Sciutto and Daria Ottavia Repetto. Educated by his parents to mercy, fear of God, and good manners. He entered the Order of the Carmelites of the Congregation of St. Elia in the Convent of the Scala in Rome in June 1721. He wore the dress of the Carmelite Scalzi in the same Convent on September 8, 1721 by the hand of Superior General P. Philippi of St. Anna. After the two years of novitiate, who lived fervently in the exercise of the religious virtues and worship of the Annunciation, was unanimously admitted to the Solemn profession in the same Convent on September 9, 1723 in the hands of Fr. Bernard M. of Jesus General Definitor. The Three Vows of Obedience, Chastity, Poverty, added that of Humility, with which he was obliged to remain a lay brother throughout his life. In 1726 he was assigned to the Convent of S. Maria della Vittoria in Rome and considered suitable for the delicate questing office that exercised “with the summit of the seculars” until death. In 1737 “Stimulated by love for the 1st Carmelite Religion … inspired by God and participant of the LOVE OF LOVE OF S. TERESA, with the permission of the Superiors, gathered many honest virgins, and after having formed them in all sorts of virtues, ‘dress of the Third Carmelite Order and sent them to the countries of the Pontifical State. Their commitment would be to form the faithful and the Piety otherwise exposed to danger, to whom they would also have taught manual work suitable for them. Carmelite Pie Masters, as they were called, were formed in Carmelite spirituality directly by their Founder Br. Isidore who had given them a loud voice of a “rule” that was suggestive of that of the Carmelite Nuns and which would then be confluent in the “REGULA of 1773” written by First President P. Valerio of S. Pius and approved on 9 november 1773 from the Superior General of the Carmelite Scalzi P. Eusebio of St. Mary. He was persistent in silence, so that he would have thought he was just able to talk about things in this world. When, however, he spoke of the things of God and of the lives of the saints, he became eloquent and humble. He was exercised very much in mortification, and although he was suffering from various infirmities, no one could convince him in any way of interrupting the rather severe and prolonged fasts, watchdogs and exercises provided by the Rule and the Constitutions of Teresian Carmel. There were many, the sufferings that distressed his existence, in true love of the Cross, Fra Isidore accepted all of them. His holy death in S. Maria della Vittoria, Rome, on 23/12/1769, even further documents the adamantine holiness of his life. “… feeling near death, he began to meet happily. The more frequent attendance to the Sacraments, the more numerous the vigils, the prayers and the penances. 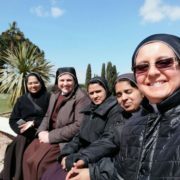 Charism, Apostolate, Spirituality: The Institute of the Carmelite Teresian Sisters live the Charism of their Founder Br. Isidore of the Nativity of B.V. Mary, in the form of contemplative – apostolic life, in the essential dynamics of helping the poor, humble and the little ones. This is the main purpose and the message of the Founder. The Religious of Br. Isidore live this charism by dedicating themselves to the teaching and education of youth, in schools and rendering service in the Parishes. As we have seen, the purpose of the founder was originally to engage some people to make themselves available to the many brothers in need of Christian education and formation. The Teresian Carmelites, in their history, also made up of particular travails, kept themselves always faithful to the essential points of their Charism, widening their operative field over time, especially after the official recognition as “Institute of Pontifical Right” in 1931. Today it is witnessed by their presence in many sectors of social and ecclesial life: teaching, catechesis, human and Christian formation of youth, especially of children in orphanages, nursery schools, in private and state run schools and in various parishes. They have just over one hundred members and are present in Italy, especially in Lazio with various religious houses; they have institutions in Piemonte, Abruzzo and in mission lands: Brazil and India where they are thriving with many communities and they operate mainly among the poor. The charismatic note of the Institute entailed a continuous verification of fidelity to the Lord and the new times of history with a willingness to enter the Church; courageous initiatives; constancy in giving oneself with work and apostolate, to the most defenseless: the little ones, the poor and the young. Even the present world tries to erase the idea of ​​the “Divine” from the heart of humanity. The Teresian Carmelite Sisters “are witnesses of Christian hope”. Growth and Spread of the CTS in India: The CTS Congregation started in India in the year 1993, with its first foundation in India, in the diocese of Mysore. The initiative was taken by Sr. Gemma Cafarelli the then General of the Congregation. 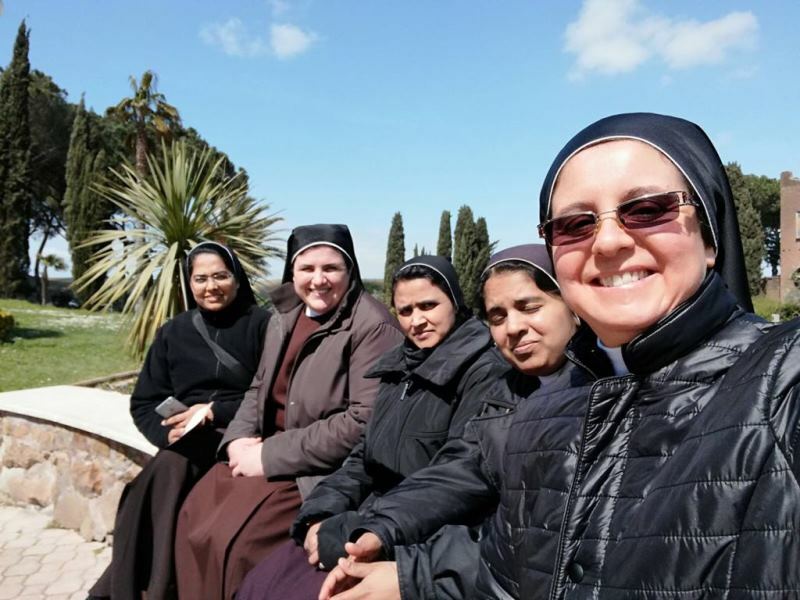 She was assisted by other Italian sisters, namely, Sr. Luisa Laudazi (the Vicar General), Sr. Rosa, Sr. Valeria and some Indian Sisters. The reason why the foundation was started in Mysore is on account of two prominent priests, namely, Fr. Gregory D’Souza (OCD) and Fr. Xavier of Mysore diocese, who guided this new initiative. Today, the congregation has a total of 4 communities: 3 houses in the diocese of Mysore and 1 house in the Chikkamagaluru diocese. Saints of the Congregation: Besides, Our Lady of Mt. Carmel, the Congregation reveres Saints of the Order, such as, St. Teresa of Avila, St. John of the Cross, St. Therese of Lisieux, and others. The congregation holds Fr. Isidore of Nativity, the founder in high esteem. Pancrazio Recchia, Umile e Sapiente, Roma: Edizione a cura della Casa Generalizia,1995. P. Pancrazio Recchia, Il Carisma delle suore Carmelitane Teresiane,Roma: Edizione a cura della Casa Generalizia,1982. P. Pancrazio Recchia, “ Il Nuovo Teresiano Germoglio”, Roma: Edizione a cura della Casa Generalizia,1981. “Storical document for the beatification of Br.Isidor of Nativity”, written by Mother General Sr. Gemma Cafarelli and Sr.Luisa Laudazi, Roma: 1988. E’ di Diritto Pontificio, dipende dalla Santa Sede. Riconosciuta giuridicamente con Decreto Regio il 3 Settembre 1936.